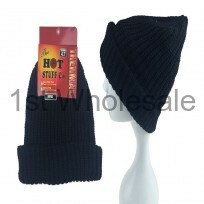 A good hat and glove set is essential for winter, and our range of wholesale winter accessories is sure to please. 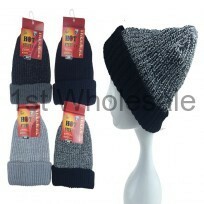 Our 'hot hats' come in a range of colours, including plain navy, grey and black and a combination of grey and black, meaning they are perfectly suited to go with any outfit. Carefully designed to keep insulated, our hot hats keep heads warm by stopping heat from escaping and are great for keeping ears and heads warm. Our gloves are excellent for keeping fingers and hands warm and pain-free throughout the winter.